See also: Reflections from the Truthfest Crew and Press Releases. “What’s that about?” asked Eimear. Eimear looked it up and we began to worry that they might be tempted to catch the Isle of Man Steam Packet instead and all end up in Douglas. 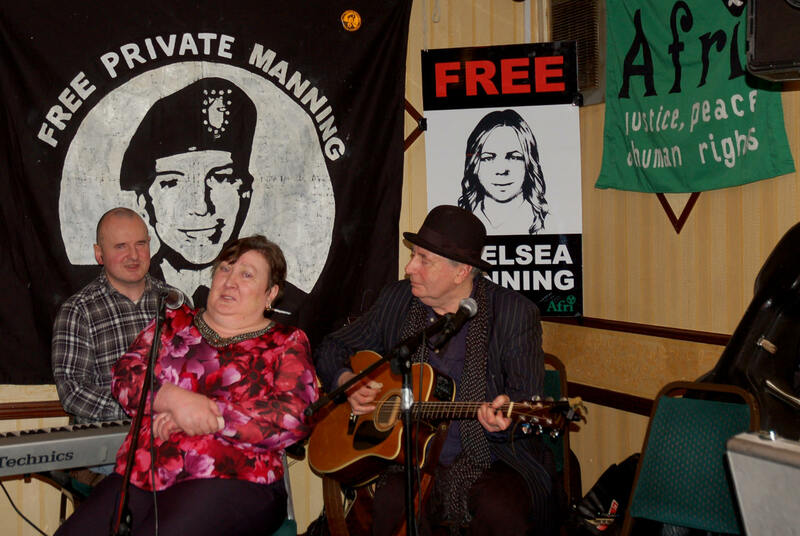 The 2nd Manning Truthfest is the latest in a series of solidarity efforts involving Chelsea Manning’s Welsh-Irish family. In addition to events here in Wales, family members have made three trips to Dublin, establishing firm friendships, gathering support and raising awareness of Chelsea’s case. 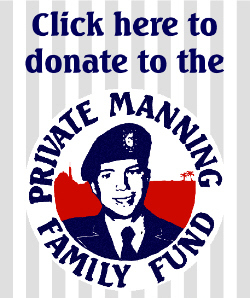 Chelsea Manning has Irish roots and she passed through Shannon airport en route to Iraq. The use of a civilian airport in supposedly ‘neutral’ Ireland by the US military to facilitate its wars has long been protested and some of the cables released by Manning shed light on this use, which includes rendition flights, and on the diplomatic machinations that followed the acquittal of activists who caused $2.5m damage to a US military jet at Shannon in the run up to the Iraq war in February 2003. Read more about Shannon Airport and the leaks here. 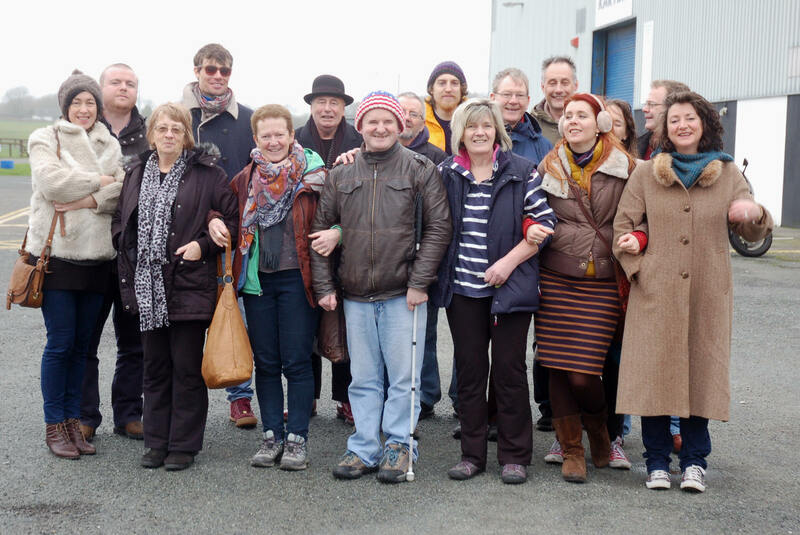 It’s impossible to do justice to the spirit of these Welsh-Irish exchange visits in a blog post (this compilation from Truthfest has a pretty good go), but they have without exception been emotional and uplifting affairs. There are too many special moments to recount, but highlights include Gerry Conlon’s blistering speech at Trinity… and the informal dinner we had with him and his partner in the pub beforehand; the visit to Amnesty Ireland where Susan was presented with a human rights award for Chelsea from local schoolchildren; half of Haverfordwest up and dancing at the Truthfest ceilidh last year. 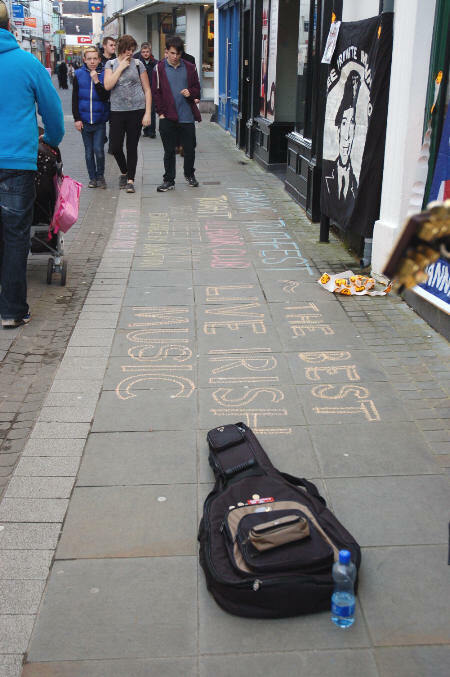 There has been evening after evening filled with great music provided by warm and wonderful musicians who go above and beyond – as on this occasion; the welcomes of all the local people who have opened their homes and hearts to us (supporters in Ireland and Chelsea’s family in Wales); the solidarity on the street in Dublin and Haverfordwest; the list goes on. 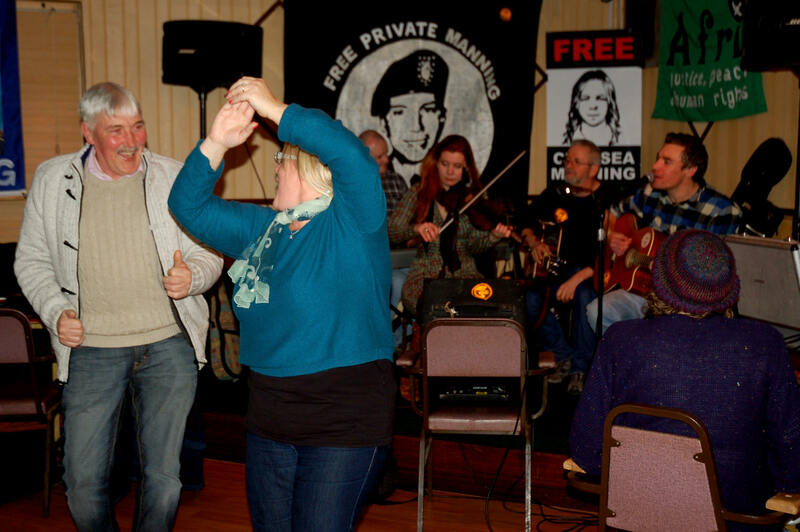 We managed to secure the services of Caper Ceilidh Band members Polly Walker-Penn and Ant Rogers to do a set of mainly Irish tunes to kick the evening off while our Irish friends were still hurtling down the coast road from Holyhead. 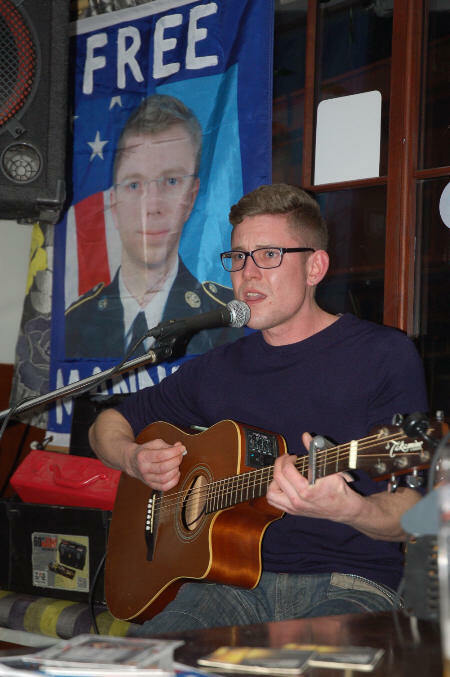 They did a great job and were followed by singer-songwriter Martyn Ashe who performed his own politically conscious compositions. 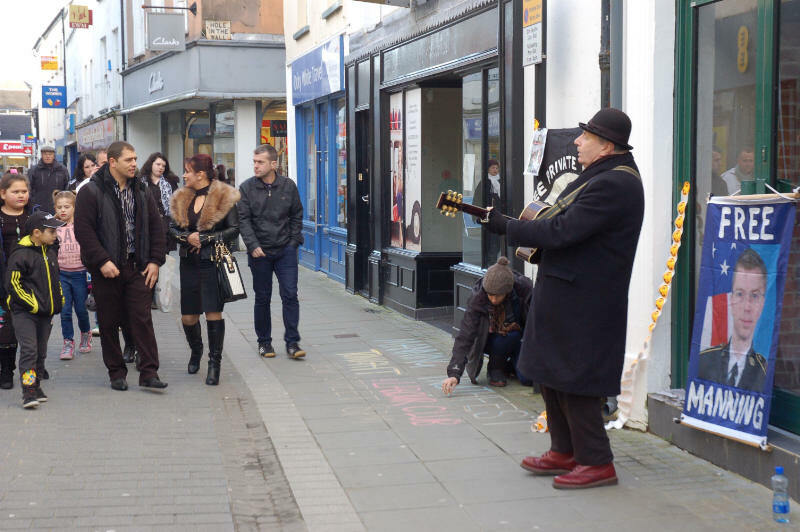 As last year, Rhys the singing security guard joined in, this time in a duet with Robbie for a rendition of Danny Boy. 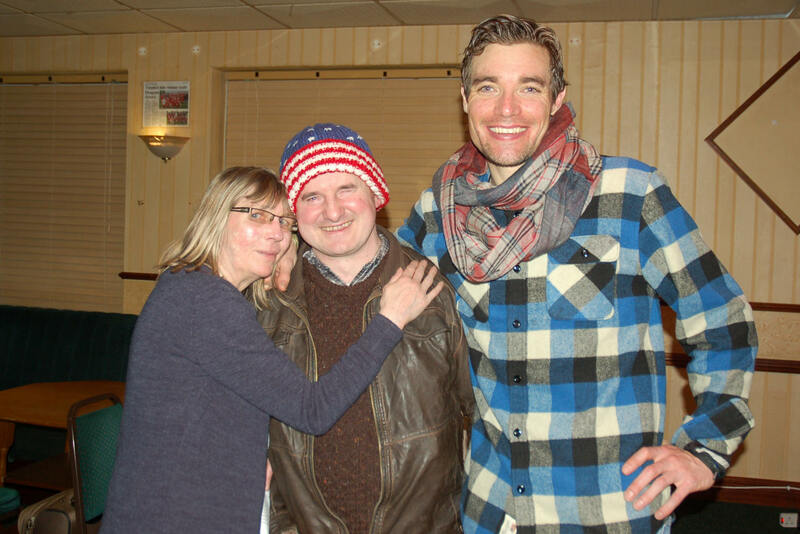 We were joined Friday night by Jess Hope, who lives locally and is involved in the campaign to free the last British resident held in Guantanamo, Shaker Aamer. 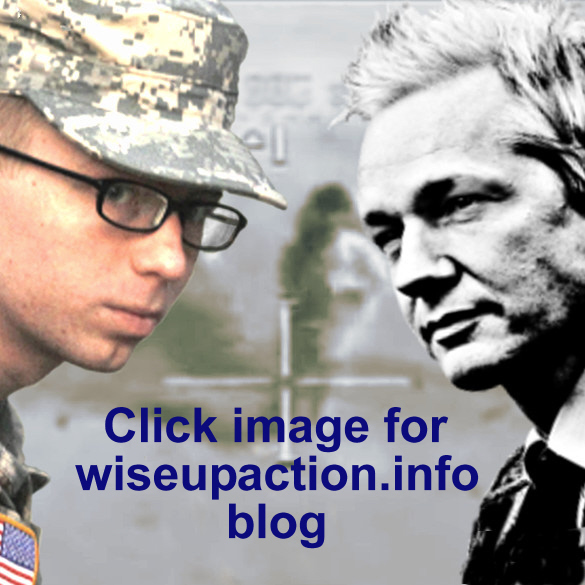 The Guantanamo Files released by Chelsea Manning shed much needed light on Guantanamo Bay and the prisoners held there. We posed for photographs for I Stand With Shaker, which is similar to the I am Bradley Manning photo initiative. 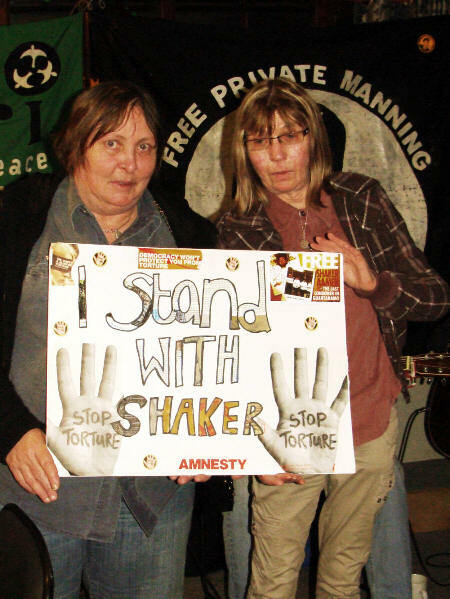 Below, Chelsea’s mum Susan (R) and aunt Mary (L) standing in solidarity with Shaker Aamer. Saturday morning was spent reacquainting ourselves with the seaside village of Broadhaven West where Chelsea’s aunt Sharon had organised accommodation for us just a short stroll away from the sea front. 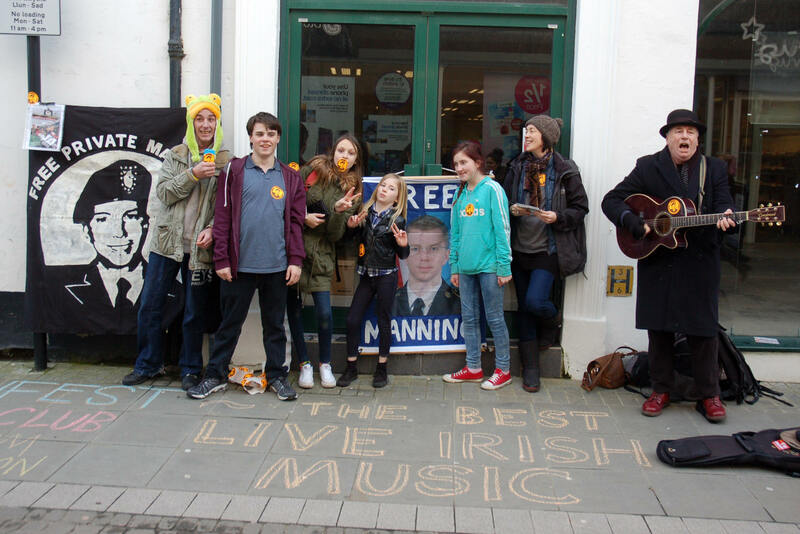 After lunch, while others were doing the soundcheck for the evening, pick-ups at the ferry or recovering from Friday’s exertions, Joe Black, Eimear and I headed into Haverfordwest to spread the word about the gig with Joe demonstrating that we really did have ‘The Best Live Irish Music’ and us handing out Chelsea Manning postcards & stickers and speaking with passers by. In general, we had positive feedback with a lot of interest from young people, many compliments to Joe and plenty of postcards & stickers distributed. However, several of those who were not supportive stopped to say, specifically, that they condemned the leaks because they had led to people being harmed (one even said ‘hundreds killed’). They weren’t willing to stop and hear that there is no evidence of harm, nor that the leaks revealed wrongdoing that should have been addressed but has not, so I included this information in the press release afterwards. It may be worth ensuring that any literature we hand out in the area in future covers this aspect. Late afternoon and by now getting chilly, we packed up and headed off to refuel ready for the night ahead, some in the local Wetherspoons and others back at our comfy digs. With the Truthfest visiting crew now at full rugby team strength thanks to five new arrivals who had spent the day travelling from London (Andy and Miriam, Imogen and Andy) and Leitrim (Sorcha), a home team of at least ten family members (including six of the nine Fox siblings) along with their friends and other local people, it was going to be a good night, with a welcoming atmosphere of camararderie, love and solid support for Chelsea and her family. 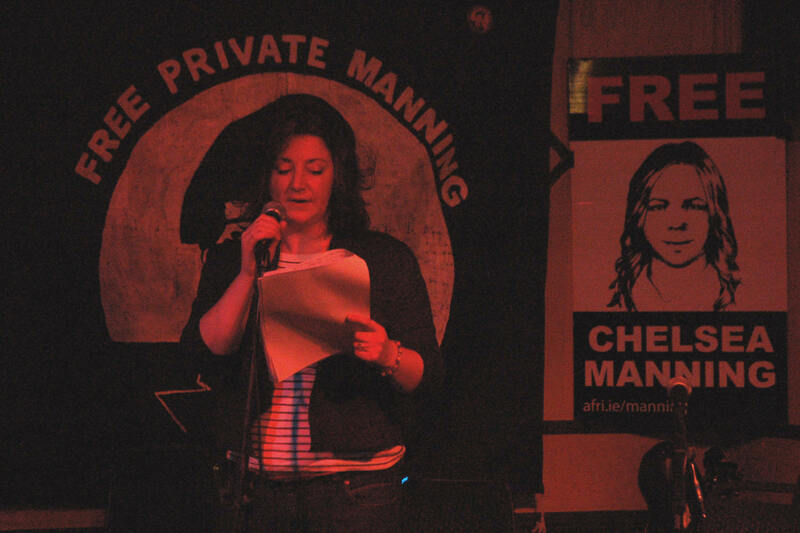 We had wanted to make sure Chelsea Manning was central to the evening and rather than speaking about her, we decided to give her a voice here in her family’s home town through her own words, which Sorcha and I read out. These are powerful, moving and convey Chelsea’s morals and motives with great clarity. The pieces we chose to read extracts from were: The Chatlogs, Article on Transgender Rights, Request for Presidential Pardon and Interview with Amnesty. The music was, as promised, the best, with Joe, RoJ, Paul and Robbie playing in various combinations and later joined by Imogen and Miriam. 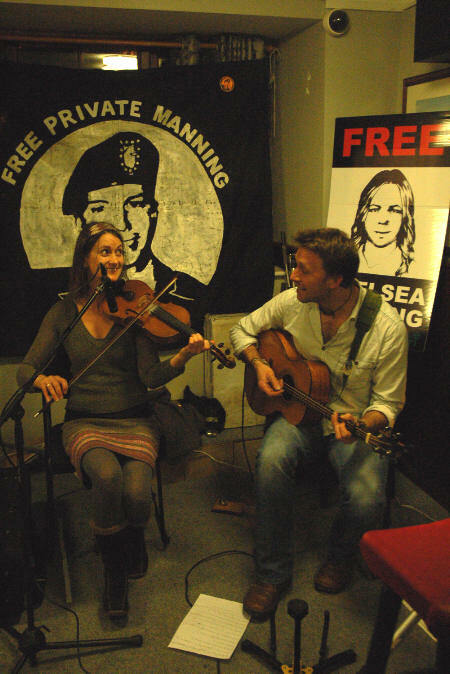 The play list is too long to recall but some of my favourites were RoJ’s own song I am Chelsea Manning, Paul’s rendition of Shane MacGowan’s A Rainy Night in Soho, full of love, fiddle tunes from Imogen and Joe Black’s The Welcome. 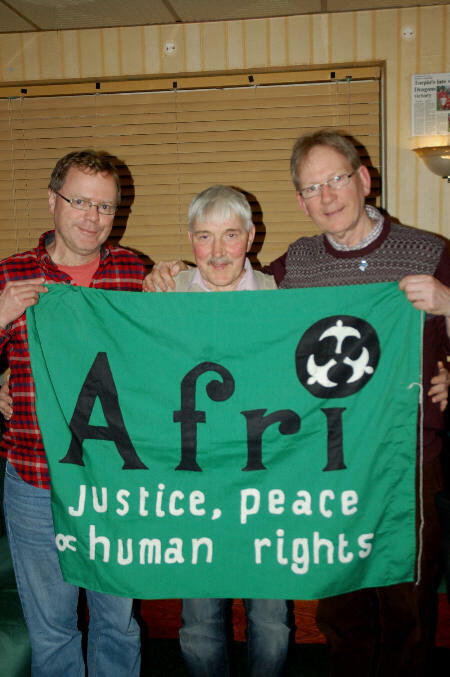 Kev is pictured below (centre) with Chair of Afri Andy Storey (L) and Coordinator Joe Murray (R). Towards the end of the night, the club had emptied somewhat and there was a bit of a lull when the band suddenly let rip with Whiskey in the Jar, everyone leapt back into life and filled the dance floor. There was an open mic for singers too: Miley Cash, Margaret from the Labour Club and Chelsea’s aunt Joan, who brought the house down with The Wild Rover! 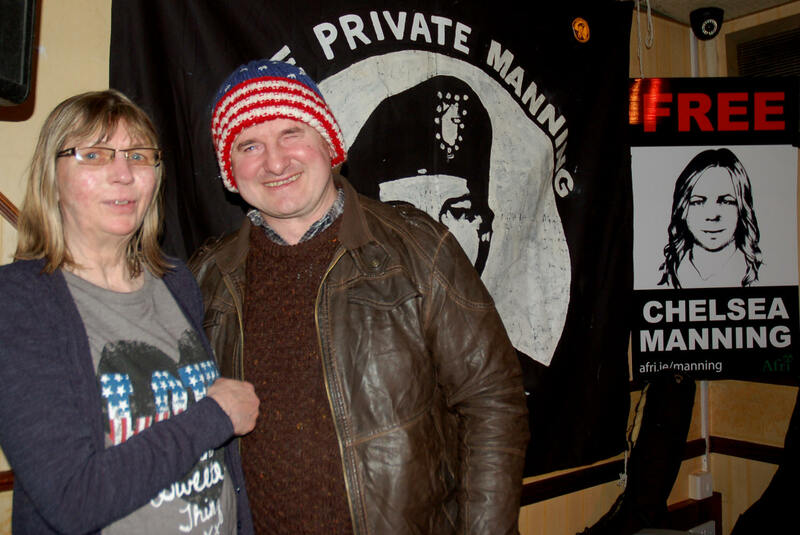 Some of you may remember the hats from Occupy Berkeley sent to Manning supporters here in cold, wet Wales and how a special hat with a message helped me make the connection with Susan Manning, Chelsea’s mum, as explained in this article. After a final group photo, everyone headed for their beds, or rather not quite everyone. 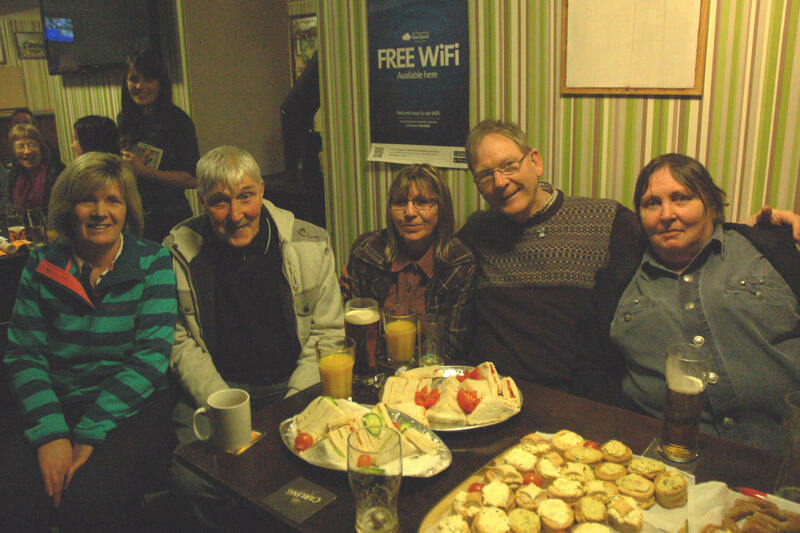 When I had dropped Susan, Kevin and Mary off at home I came back for Joe Black, Andy Cummins and Robbie who were by that time comfortably settled in the bar chatting to Chelsea’s aunt Pat and uncle Renny. 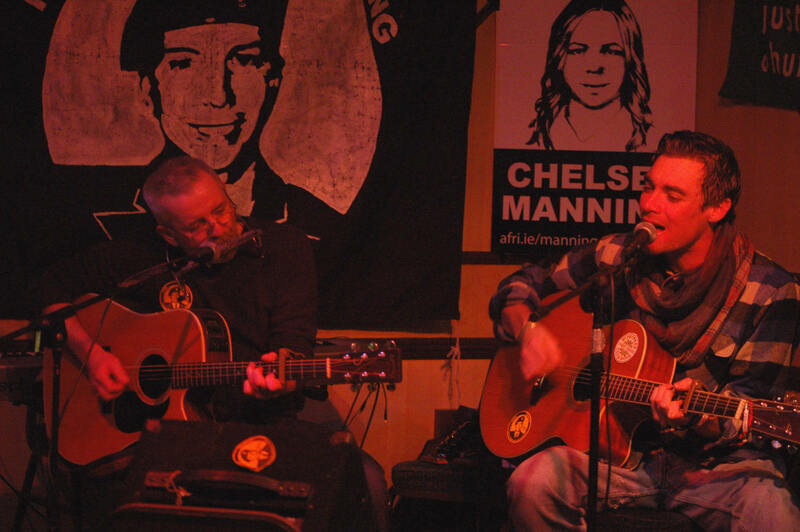 Renny talked about Chelsea and Casey as children, and Chelsea’s Dad Brian, who was a good mate of his and Kevin’s. We had a long discussion about Chelsea’s actions and motivation and how she must have made the decision to leak the documents knowing that loss of liberty was a likely or at least a possible outcome. Finally, around 2am, we dragged ourselves away and to our beds. Chelsea Manning’s Welsh-Irish family received next to no support in the years from her arrest until the trial, and dealt with the most difficult situations, from the media camped on their doorsteps to the FBI showing up at Susan’s house accompanied by local police. The family made four visits to Chelsea in prison with no financial support. They had to live with the hell of learning that Chelsea was being tortured thousands of miles away in Quantico. Through all this, and much other adversity, they have managed to retain their warmth, openness and a great sense of fun. We are proud to be associated with them now, sharing their struggles in however small a way, offering our solidarity for as long as it is desired and feeling the love. Please donate towards our solidarity work if you can. 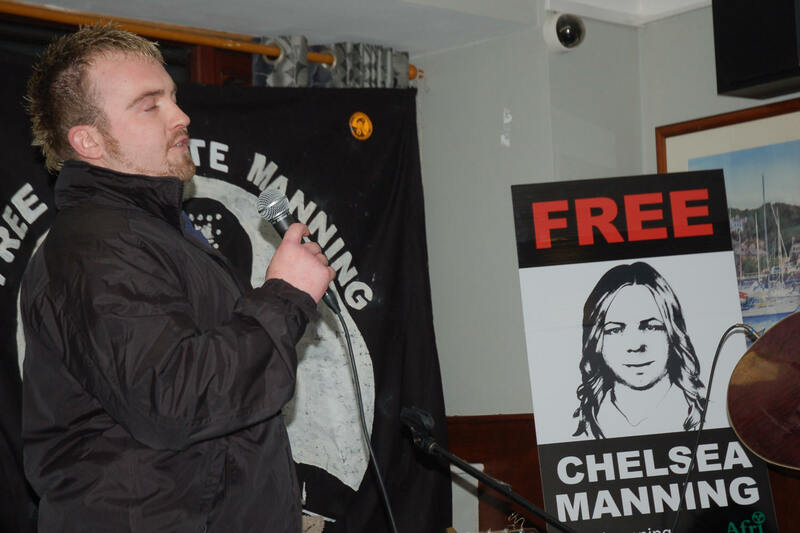 NB Manning Truthfest is the brainchild of Irish actor and activist Donal O’Kelly and is organised by Afri in conjunction with the Private Manning Family Fund and Chelsea Manning’s Welsh-Irish family. 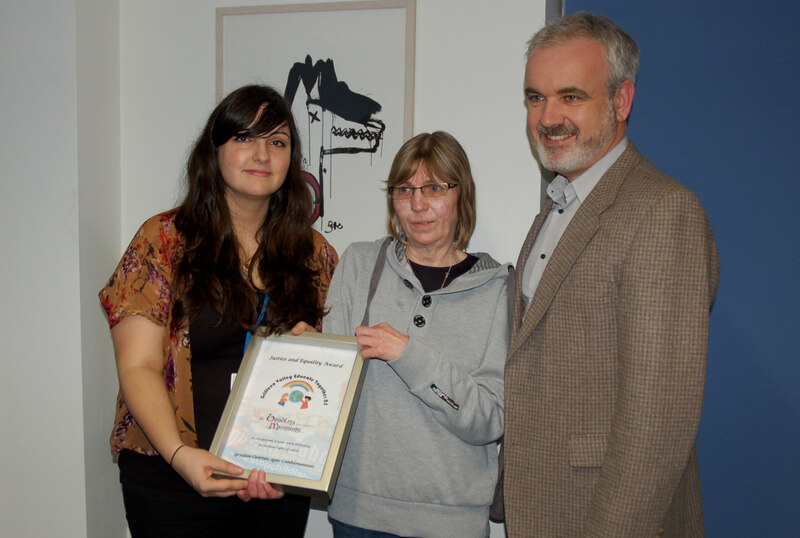 Big thanks to everyone who took part or contributed in other ways. 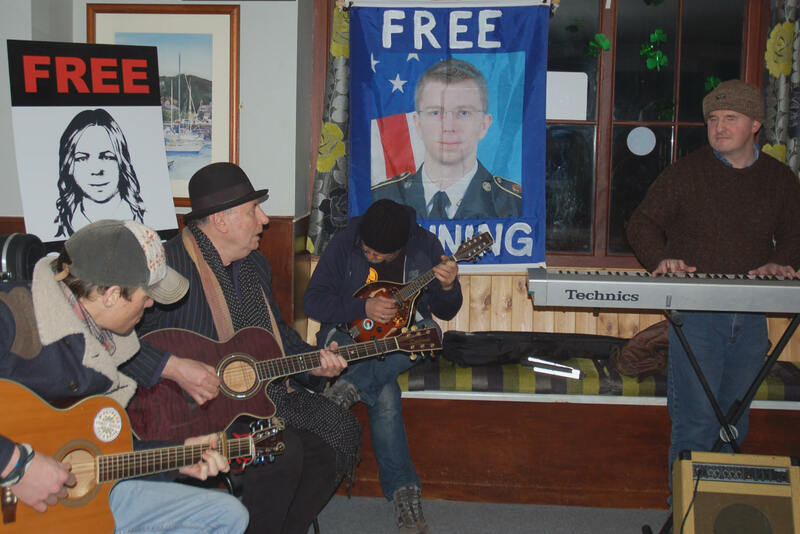 Gallery | This entry was posted in Reports and tagged Afri, Chelsea Manning, Dublin, family, Fishguard, Haverfordwest, Ireland, Pembrokeshire, performance, solidarity, Wales. Bookmark the permalink. 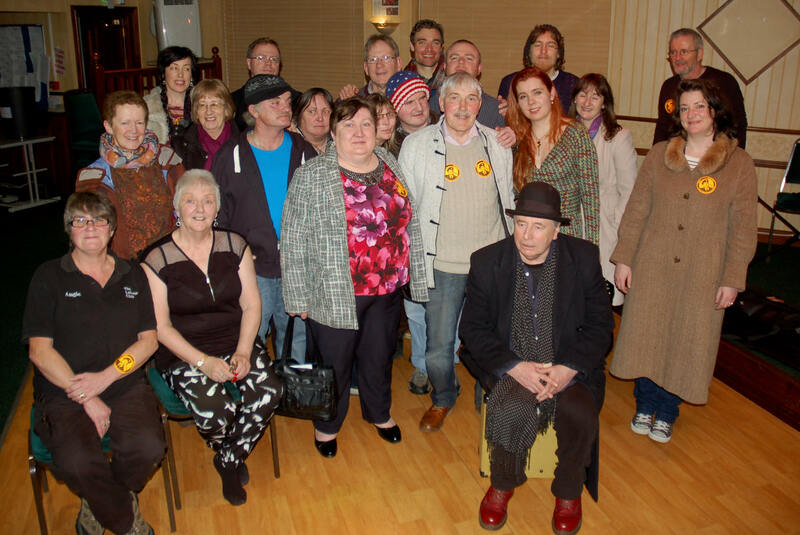 An honour and privelige to be a participant with such a wonderful group of people, and such an unspeakable injustice to Chelsea Manning as anyone with a shrivel of a conscience could not stand idly by… Thank you all.. Paul.